Ben and Katina were married in 1994. Shortly thereafter, Ben told his new bride that he had never had a sports car and if he waited until after having children the chances of getting one would be very low. 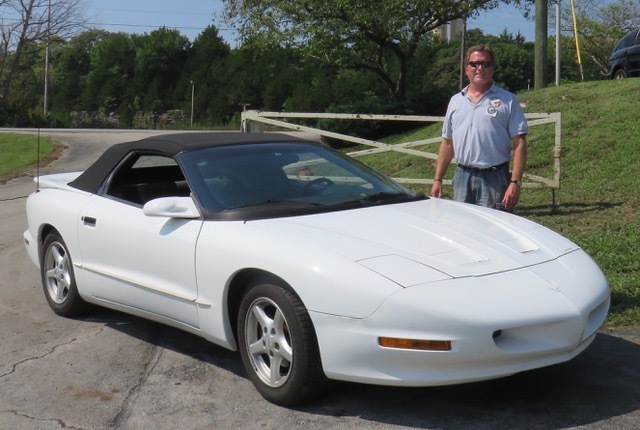 Katina agreed and Ben rolled his new 1995 Pontiac Firebird Formula convertible off the showroom floor. Of the 51,000 Firebirds manufactured, only 1038 of them were Formula Convertibles making this car a bit of a rarity. The car is all original and in perfect working order. Ben has no desire to part with this car and plans to keep it forever!